Many people tend to use the terms bookkeeping services and accounting services. It is understandable, especially since accountants like our accountant at AA Tax & Accounting Services offers both bookkeeping and accounting services. However, these services provide small business owners with different benefits. The main benefit of bookkeeping services is the knowledge that your business’ day-to-day financial business is being tracked and recorded. In general, bookkeepers perform data entry work, from entering invoices to balancing the general ledger. Along with this necessary work, some bookkeepers also take care of employee payroll processing, as well as creating invoices for your business to ensure vendors pay you in a timely manner. While accounting services can include bookkeeping duties, an accountant will generally help a business take a longer view in regards to their finances. This means that an accountant will take the information recorded by the bookkeeper and use that info to make reports and recommendations. Another important distinction to make when it comes to accountants and bookkeepers is the education involved. While some businesses prefer bookkeeper with some secondary education, all a person needs to be a bookkeeper is a high school diploma. But with accountants, they need to have at least a bachelor’s degree in most states. And if you are looking for an accounting firm to work with, you can easily check their credentials to ensure they are both educated and experienced. In many cases, the size of your business can help you determine which type of accounting service you need. If you only have a couple of employees, a bookkeeper may be all you need to ensure that your company’s finances are in order. With the accurately tracked information, you can bring your records to our accountant to take care of your tax preparation and filing of your return. As your business grows, bringing an accountant onboard can help ensure that your company is headed in the right direction. Since an accountant’s job is to take the long view when it comes to your business, they can help point out areas where overspending may be taking place as well as sectors where it makes sense to invest further. These recommendations may involve you looking for new vendor bids and investing in online marketing to grow your company’s reach. Also, there are plenty of times where it makes sense to work with both a bookkeeper and an accountant. As our accountant performs both of these services, you can feel assured that your day-to-day financial business is taken care of and receive reports and recommendations which will help you continue building up your company. When you have determined what services you need, contact us to start working with our accountant, and see how we can help you make your business grow. When the government shutdown occurred earlier this year, the IRS was one of the main areas where funding stopped. As a result, the tax return process was in jeopardy. The question, at the time, was how quickly would tax refunds be processed, if at all, and how long would people have to wait to receive them. But because of a few loopholes in the policy about government offices operating during a shutdown, the IRS has been able to stay the course, with some minor delays, in processing returns. If a government shutdown occurs, some government areas still remain in operation. One of those areas is, of course, the IRS. In the past, the only contingency was while returns would be processed, refunds might be delayed until the government was again funded. Your local Tax Accountant, however, is probably going to continue doing the work of helping people prepare their returns as most tax filers like to complete them as soon as the tax season starts. Last year, 18.3 million people claimed around $12.6 billion in early refunds. This year, the IRS stated that tax filing season would begin on January 28th, despite the Antideficiency Act that states what type of work can be done during a government shutdown. In spite of the shutdown, the Trump Administration vowed that the processing of returns and refunds would not be interrupted. This meant the IRS had to keep-on around 46,000 employees (57% of its workforce). But those employees did their work without pay with the promise of back-pay as soon as the government was funded and operational again. In the interim, the IRS assigned staffing to functions it deemed a necessity, such as processing electronic returns, processing returns with payments, mailing tax forms, appeals, criminal law enforcement and investigations, and technical work to maintain computer systems. Other job functions like audits, returns, non-automated collections, and legal counsel, etc., were all temporarily stopped. Despite the fact it only had half its workforce in place during the shutdown, the IRS still tried to help taxpayers with any concerns they might have. 38% of calls to its Automated Collection System were answered with callers waiting close to 50 minutes. As far as the IRS’s Installment Agreement/ Balance Due line, only seven percent of calls were answered with an over 80 minute wait time. The IRS also had five million pieces of mail that needed to be processed. And it had over 80,000 responses to the fiscal year 2018’s Earned Income Tax Credit audits that went unanswered. Add to that the 87,000 amended returns that no one addressed. Although it is probably one of the most important areas of the government, the IRS is highly underfunded, and this point goes beyond normal funding the agency receives when the government is fully operational. One of the areas where it is behind the times is in its computer systems, which haven’t been updated since the 1960s. Currently, taxpayer information is stored in 60 different case management systems that aren’t linked together and the agency lacks a central database. The problem is IRS employees are unsure if they are servicing the right taxpayer accounts or not. These antiquated systems also make the audit process highly imprecise and ineffective. 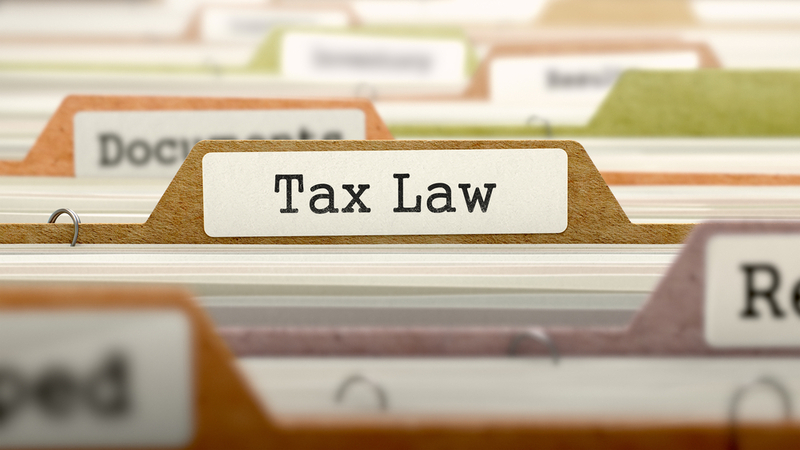 In 2014, the IRS instituted a policy of answering tax law related questions in a specific fashion and only during the tax season months of January through April. But the Trump Administration’s tax reform changed that policy, especially in regard to questions about the Tax Cuts and Job Acts reform. But callers were told those questions couldn’t be answered due to budget restrictions and instead were directed to an automated answering system where they were promptly disconnected. Those taxpayers who actually got a live person were told that IRS employees had not been trained on the reforms and apologized for not being able to answer their questions. With all the problems the IRS faces with old computer systems and insufficient training on new tax laws in addition to being short of staff during the shutdown, the agency was still able to process returns and refunds, although not at the same level as the prior year. In the first week of the tax season, the IRS was still able to process 13, 306, 000 returns with 4,672,000 refunds paid out. The average refund, however, went down from the prior year from $2,035 to $1,865.00. The government shutdown finally did end, although President Trump threatened another one might follow. Thankfully, that didn’t happen. All IRS employees are most likely back at work, but the fact remains they are plagued with old systems and not enough training about tax reforms to answer taxpayer questions. Have you done your 2018 taxes yet? Are you worried the tax reforms of last year might make doing your tax return difficult and negatively impact your refund? It’s not too late to contact your Cedar City Accountant to help you through your federal as well as with your Cedar City taxes. Tax season is in full swing, and our accountant in Cedar City has been seeing plenty of clients who have inquired about tax extensions. 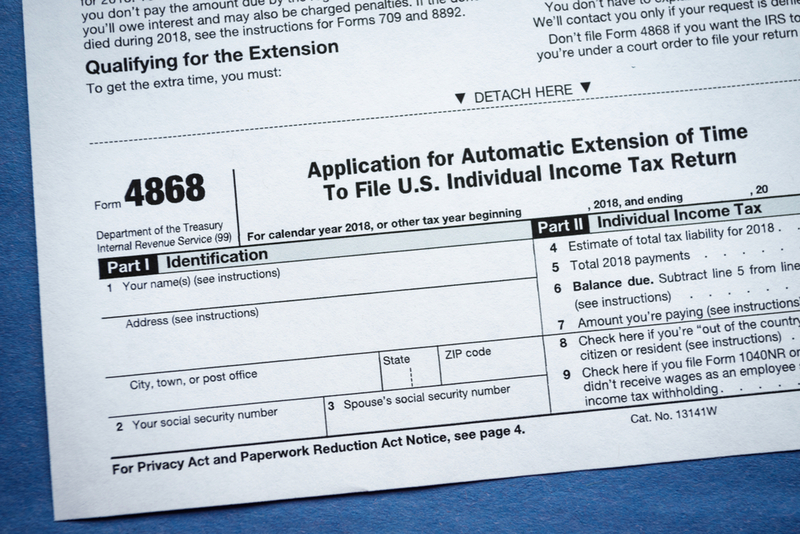 While an extension can be a helpful tool if you are waiting on paperwork or are a small business owner looking to make contributions to their retirement fund, there are several instances where you should avoid filing a tax extension. One of the main reasons people initially consider filing a tax extension is because they are unsure or unable to pay the taxes they owe. However, this is not what an extension is not designed for this purpose. An extension of your taxes only allows you to have more time to file your tax return. You will still need to pay any taxes you owe. This requirement can sound counter-intuitive, as you may not know exactly how much you owe in taxes until you complete your return. But by working with our tax accountant, you should have estimated tax payments that you can use to pay your taxes by the original filing deadline. If it turns out that you have overpaid after you file your extended taxes, you can receive a refund from the IRS. Prior to the passing of the Tax Cuts and Jobs Act (TCJA), you could file an extension and recharacterize your IRA, converting a traditional IRA into a Roth IRA or vice versa, all while you finish filing your tax return. But since the TCJA has passed, your IRA cannot be changed during a tax extension. So, if you were planning on recharacterizing it, be sure it is done by April 15, 2019. For those married couples who originally filed jointly wish to change their filing status, they only have until April 15, 2019, to file an amended tax return that reflects their decision to file married, filing separately. Our accountant can assist you in amended your tax return to reflect your new filing status, but you will need to come in before the original filing date, as extensions will not apply. If you would like expert assistance with your taxes, contact us. Our accountant has an office in Cedar City and St. George and is ready to help you with your tax preparation needs as well as your other accounting needs. Often, the doings of the federal government seem a world away. When it comes to tax law, however, they always manage to arrive squarely at your doorstep. For local business owners, this is the case with the Tax Cuts and Job Act passed by Congress in 2017. The good news is many of these changes are beneficial. Some 83 percent of small business owners reported feeling optimistic about the tax changes, according to a recent poll. The bad news is there are significant modifications to how you’ll be filing. Change can be difficult, particularly when it pertains to a situation you already find daunting. A good tax accountant can help you navigate any tax modifications painlessly, and work to get you the tax breaks designed expressly for someone in your shoes. Meanwhile, let’s look at some ways the new tax policy will affect your local business. If you’re a “pass-through business” and have made less than $157,500 per year—$315, 000 for those who are married, filing jointly—you’re likely to get a welcome tax deduction. If you’re wondering what pass-through means, it doesn’t signify that you own a fast-food restaurant with a drive-thru. It means you’re operating as a partnership, S corporation, Limited Liability Corporation or sole proprietorship. As a pass-through business owner, you may be able to deduct as much as 20 percent of your qualified business income. If your company exceeds the income threshold for pass-through businesses, you may still get a portion of the deduction. The SALT deduction is still available. Now, however, a ceiling of $10,000 has been put on the number of SALT deductions you can take. There are some new incentives, available beginning the 2018 tax year, for employers who treat their employees well. Small businesses who provide workers with family and medical leave in the course of tax years 2018 and 2019 may qualify for a new business credit. Forward-thinking business owners should be pleased to hear that starting with the 2018 tax year, you ’re now able to pass on both your business and financial legacy tax-free. Individuals once had to make less than $5.49 million o be exempted from the estate tax. That number has been doubled, with the exclusion threshold resting at $11 million for individuals. Married couples don’t have to pay estate taxes unless they’ve received at least $22.36 million. If you have giving on your mind, you can also celebrate the fact that the annual gift exclusion has been raised from $14,000 to $15,000. Some key business deductions your company may have relied in the past have disappeared or are now harder to take. Entertainment expenses, like those courtside seats you were once able to toss at valued clients, used to be 50 percent deductible. Entertainment expenses are no longer deductible. In good news, entertainment events aimed at employees, like your annual Christmas party, are still 100 percent deductible. If you take clients out for a meal, you can still deduct 50 percent of the bill, as always. There’s now a caveat, though. If entertainment is included—say you attend a performance at a local dinner theater—you must purchase the meal separately from the entertainment to deduct its cost. Formerly, you could deduct any interest paid on a business loan. Now, businesses can only write off interest costs equal to 30 percent of their adjustable taxable income. 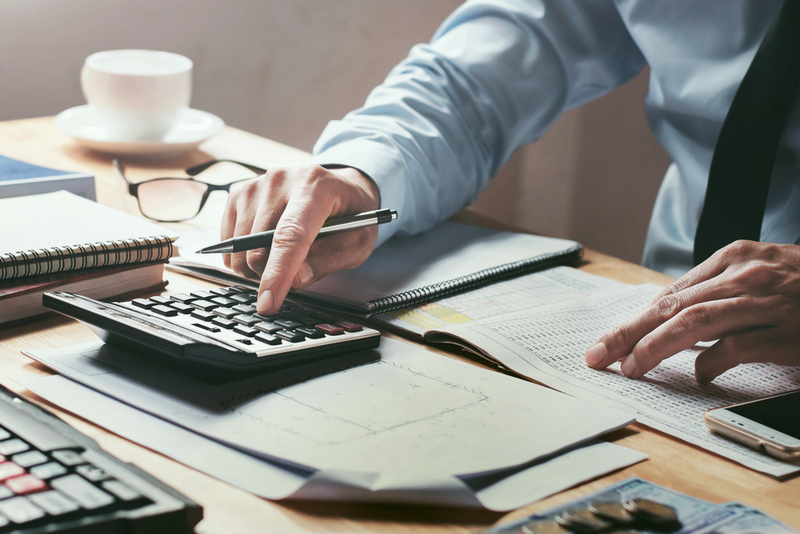 You may be able to claim more if your small business made $25 million or less last year and two years previous, but that’s a discussion you may want to have with a tax accountant. Reduce future taxable income for the next 20 years. Under the new tax law, your Operating Loss Deduction can only be applied to current and future years. Further, you can only deduct 80 percent of losses in any given year. At AA Tax and Accounting Services, it’s our business to stay up-to-date on all the latest tax changes. We’re ready to help you file your taxes for your local business, taking full advantage of tax breaks designed especially for someone in your shoes. Contact us today to make your appointment. Quality tax preparation starts long before tax season. If this year’s tax season has been a bit difficult, there are some things you can start doing now to make your next year’s taxes easier. 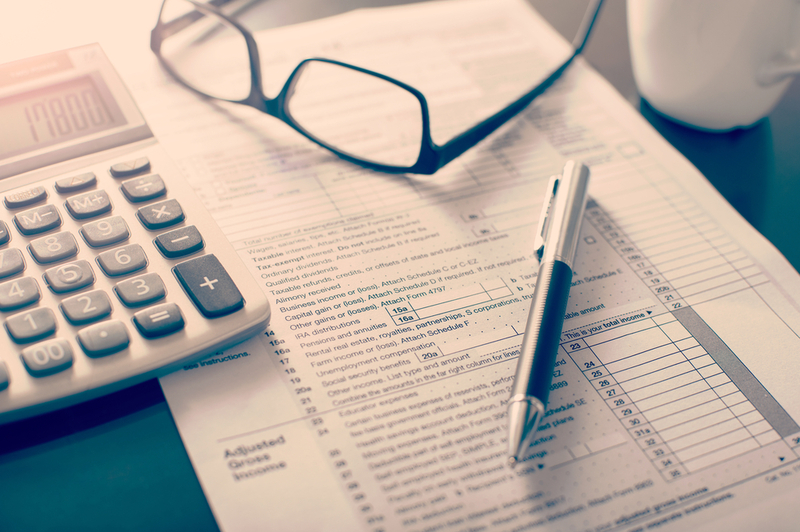 Some people like to put their struggles out of their minds the moment things are resolved, but when it comes to your taxes, it is important to know what areas where you struggled. That way, on your next year taxes, you will know what to prepare for. For instance, say you struggled with finding all your business receipts. While this is not an unusual problem, it can make tax time difficult. Once you know that this is where you struggled, make it a point to keep your receipts organized, whether in a filing system or other methods. Rather than visiting a tax professional once a year when tax season rolls around, develop a working relationship with a qualified accountant. Whether you are looking for accounting services to help you manage your business revenue strategies or are looking for help dealing with bookkeeping and payroll as well as tax preparation, working with a qualified accountant is a great way to make a headstart on your taxes. With our accountant to work with you throughout the year, your taxes can be more manageable, as he will be able to keep an eye on your finances and help you make the right financial moves. 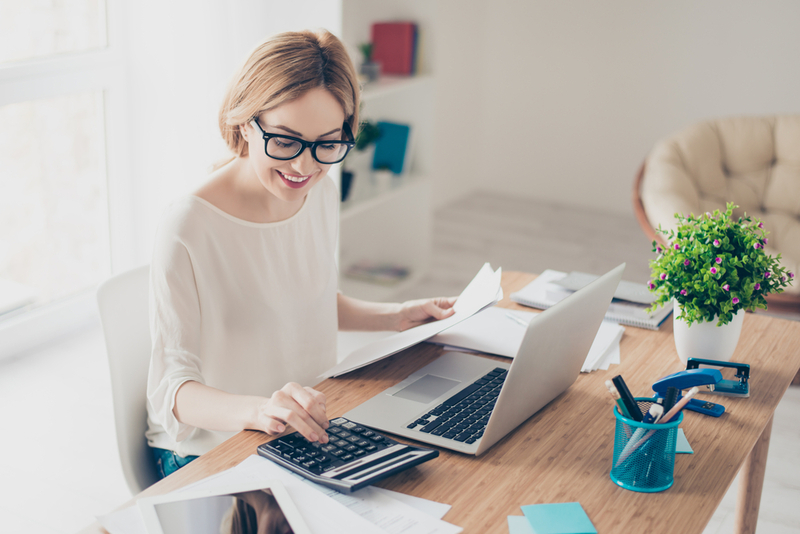 If you are self-employed or a business owner, setting up quarterly tax payment reminders can save you a lot of headaches and scrambling later in the year. Also, along with the reminders, be sure to have the estimated payment written out. Some entrepreneurs want to delay their quarterly tax payments to the last minute, as they aren’t positive what their income stream will look like. However, this can leave them struggling at the last moment. Instead, it is better to prepare and set aside a certain amount of money in anticipation of your quarterly tax payments. Tracking your expenses throughout the year is something every business owner should be doing, so they can present an accurate view of their actual income. However, another essential aspect is categorizing those expenses. As business expenses can come in a variety of categories, from company entertainment to operating costs, it is important to keep your expenses carefully categorized to make tax time easier for you and your accountant. Planning ahead when it comes to taxes is the best way to make your next year’s accounting work easier. That’s why we recommend you work with our accountant at AA Tax & Accounting Services. Our accountant can help you develop a yearlong tax plan, from the best ways to track income and expenses, to what you can do to maximize your deductible while future-proofing your business. With the right tax preparation assistance, from filing your tax returns to assisting with an audit, AA Tax & Accounting Services is here for you. To work with our accountant, contact us today. A common question our Cedar City accountant is asked during tax season is whether tax credits or tax credits are better when it comes to improving your tax return. The answer is—it depends. To help you determine whether tax credits or tax deductions are better, it is important you understand how they work. Both tax credits and tax deductions will work to help you save on your taxes, but they do it in different ways. Tax credits – When you use a tax credit, it can reduce the amount of taxes you owe at a dollar-for-dollar rate reduction. So, say you owe $2,500 in taxes, a $1,000 tax credit will reduce that amount down to $1,500 owed. Also, some tax credits are refundable, so if you have enough tax credits to reduce your taxes below zero, you can have the remaining amount refunded to you. However, many tax credits are non-refundable, so you can only reduce your taxes owed to zero. Tax deductions – On the other side, a tax reduction work to reduce the taxes you own by percentages. So, say you are in the 22% tax bracket and have a $1,000 tax deduction you can apply. For those in the 22% tax bracket, the $1,000 tax deduction actually will only save you $220 on the taxes you owe. In some instances, you can use both tax credits and tax deductions on your tax return, though many are dependent on a variety of factors. Our accountant provides tax preparations services and can help you determine what combination will apply to your taxes. With the higher standard deduction, most will not bother with itemized deductions, making tax deductions less useful than tax credits. However, if you want to discover if itemization is worth it for you or if the standard deduction is best, our accounting services are available to you. To work with an experienced tax accountant, contact us for an appointment. Our accountant will help you receive the best tax refund possible. In fact, including charitable giving in your personal financial plan can yield significant savings on your tax return, particularly when you work with a skilled tax accountant. This leaves you with more money to live and to give, a truly healthful cycle. It can be hard, though, to negotiate all of the worthy nonprofits to determine where to direct your charitable giving. At AA Tax & Accounting Services, we advise clients to start by looking for ways to help right in Cedar City and the surrounding communities. One way to do this is to support the efforts of the local indigenous people, the Paiute Indian Tribute of Utah. These include the Indian Peaks Band of Paiute Indians, who count 2,000 acres in Cedar City as their home. As of 2015, the Indian Peaks Band had 48 members. The small number is a testament to how the population of Utah Paiutes–who historians estimate arrived in Utah about 1100 AD–has been decimated over the years. Once numbering in the thousands, Utah’s Paiute Indians were nearly extinguished, first by contact with European settlers and later with American pioneers. The devastation continued in 1954 when the US government terminated its recognition of the tribe. At one point, the number of Paiutes in Utah dwindled to 800. As of 2015, those numbers rested at 918. Each of these Bands has a longstanding independent identity. What they share in common, however, is the desire to climb back from near-destruction toward a better future. In 1984, the Paiute Indian Tribe of Utah was granted 4,470 acres of Bureau of Land Management land and $2.5 million in seed money to kickstart economic development. Since then, Utah’s Paiutes have built houses, opened businesses and made strides in healthcare and educational opportunities. It’s generally agreed education is the best way to help a community move forward, and this holds true for the Paiute Indian Tribe of Utah. You can invest in the future of neighboring Native Americans by contributing to the PITU Higher Education Fund. Your donations help provide young people in Cedar City and the surrounding areas with college and training. It’s hoped the scholarship program will yield desperately-needed graduates in fields like medicine, engineering and science. Regaining Paiute culture is as important as reclaiming tribal land. For the past 9 years, teens from Utah’s Paiute bands as well as youths from Nevada and Arizona Bands have been invited to the Paiute Tribal Youth Camp. During the 4-day camp–held in public lands of traditional significance to Paiutes of the Southwest–participants receive guidance from tribal Elders and Grandmothers as well as indigenous people who’ve forged careers in public land stewardship. The camp is supported by Southern Utah University as well as agencies like the National Park Service, the Bureau of Land Management and the Forest Service. The teens also get lessons in various areas of land stewardship that may lead to a future career. The Zion Natl Park Forever Project aims to help raise the $15,000 needed to fund the 2019 Tribal Youth Camp. To contribute, click the “Pitch In” tab at the top of the project’s website. Select the amount you wish to contribute and click on the “Informing Tomorrow” button. As you complete your donation, you’re invited to leave a comment. You can note there that you’d like your contribution to go to the Paiute Tribal Youth Camp. At AA Tax & Accounting Services, we’re happy to help you manage your finances, both business and personal, with a full array of services. If you’d like more information on worthy nonprofits or on thriving financially, contact us today for your appointment. It’s a jungle out there, both in business and the economic world as a whole. It takes some doing to stretch a finite amount of income to cover your family’s needs, and hopefully a few wants while saving for the future. Yet, that’s exactly what a household CEO must do to thrive and to avoid faltering financially, in the same way companies can and do fail. Luckily, there are some basic accounting principles that provide a roadmap to navigating your personal finances. Even the most math- and money-phobic person can grasp these guidelines and take them to heart. Many people find the assistance of an expert accountant—one skilled in budgeting, investing and planning —is well worthwhile. Whether you go it alone or lean on a professional, you’ll profit by familiarizing yourself with some rules of the game. Prospering economically starts with a fundamental precept: don’t spend more than you make. Reaching this aim starts with setting a budget. Next, it’s time to crunch some numbers. You can determine your bottom line by taking your monthly household income and subtracting everything you plan to pay for during the month, including fixed and variable expenses as well as discretionary spending. Fixed expenses typically remain the same from month to month, while variable ones change a bit. When you’re creating your budget, you’ll have exact numbers for your fixed expenses but will be estimating variable expenses based on past behavior. You want to budget conservatively for variable expenses because having an overage at the end of the month is better than falling short. For example, if you typically spend between $400 and $600 per month on groceries, it’s best to assume you’ll spend the larger amount. If you’re making less than you earn and you want to stop the pattern, you need to cut your expenses. This is also the case if you’re in the black but want to introduce new expenditures or save for future ones. You can work to minimize varying monthly expenses, too. For instance, you can save considerably on groceries by making meal plans ahead of time and drafting your shopping lists accordingly. This makes you less likely to overspend based on impulse and guesswork. If possible, though, forgo cutting the amount you contribute to your credit card debt. If you can pay credit card debt off in full rather than the minimum amount each month, you’ll reap exponential savings in interest fees. Once you’ve addressed the lower-hanging fruit of discretionary and varying expenses, you can look for savings among your fixed expenses. For instance, you might take advantage of low-interest rates to refinance your house and get a lower monthly mortgage payment. Unlike cutting discretionary income, however, altering fixed expenses takes some time and effort. Ideally, a budget includes money put into savings accounts for long-term goals like retirement. At the very least, however, you should aim to create short-term savings for the proverbial rainy day. If, like so many Americans, you live from paycheck to paycheck, you know how financial emergencies snowball. Your car breaks down and a sizeable repair bill eats up your paycheck. You pay your bills late as a result and find yourself levied with late fees. You fail to pay your credit card bill and interest charges accrue. You float a check and end up with a bank fee for being overdrawn. You may even end up taking out a payday loan with its associated fee. This downward spiral can be avoided by maintaining an emergency fund. Having a couple of thousand dollars tucked away can make all the difference when it comes to emergencies like an inoperable car. If you can, though, try and save a more sizeable amount of money. Financial experts suggest you keep between three and six months of living expenses in case of catastrophic events like job loss, illness or injury. 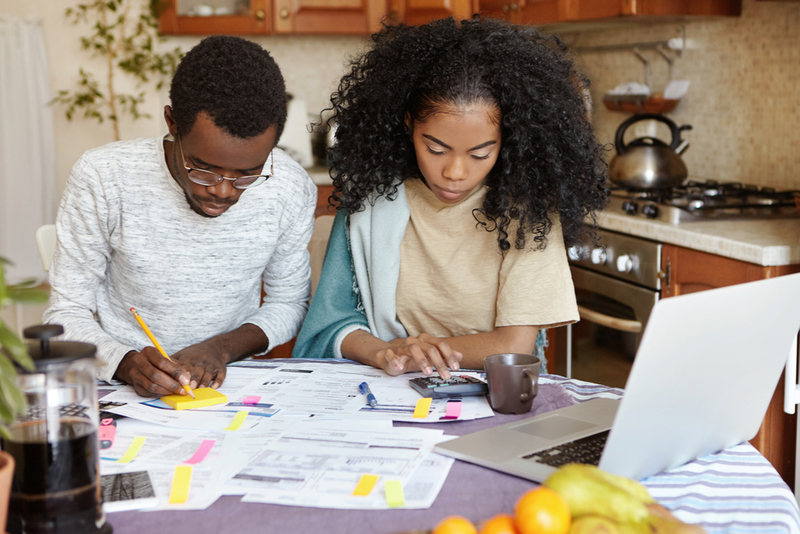 These are just a few basic accounting principles that can guide you when it comes to navigating your personal finances. For more information or professional assistance, contact the experts at AA Tax & Accounting Services. As the season of giving comes into full swing, the taxable year is also drawing to a close, making it necessary to be sure all your finances are in order so you can file your taxes next year. 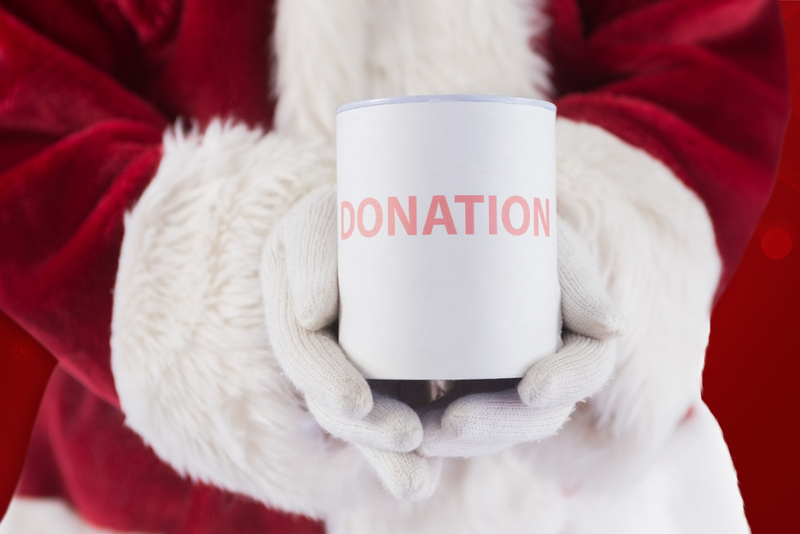 To help you make the best holiday tax-deductible donations, our accountant at AA Tax & Accounting Services, LLC has tips on how to make your charitable giving count. Anyone can call themselves a charity but not every organization qualifies for tax-exemption, which means you can’t deduct your donation from your taxes. To qualify, the charity needs to be an IRS-registered 501(c)3 organization. Generally, a registered charity will state their status to make the donation process easier, or you can work with our accountant to determine what organization is right for your donation. If you have any concerns about the tax-status of a charity, you can look them up on the IRS, using their Tax Exempt Organization Search tool. With the 2018 changes to the tax laws, the standard deduction has almost doubled for all types of earners. This change can make itemized deductions—like charitable donations—less useful on your taxes. However, as you can generally deduct up to 60% of your adjusted gross income when you donate to a qualified charity, it may still be worth it to your taxes if you are in a position to donate enough to impact your taxes. If you want to check that your donation will be able to impact your taxes, you will need to consider your tax bracket and other deductions. So, depending on how close your other itemizable deduction bring you, your charitable donation amount may be influenced. For more tailored, hands-on help with your taxes and accounting needs, contact us. Our accountant will be happy to consult with you.